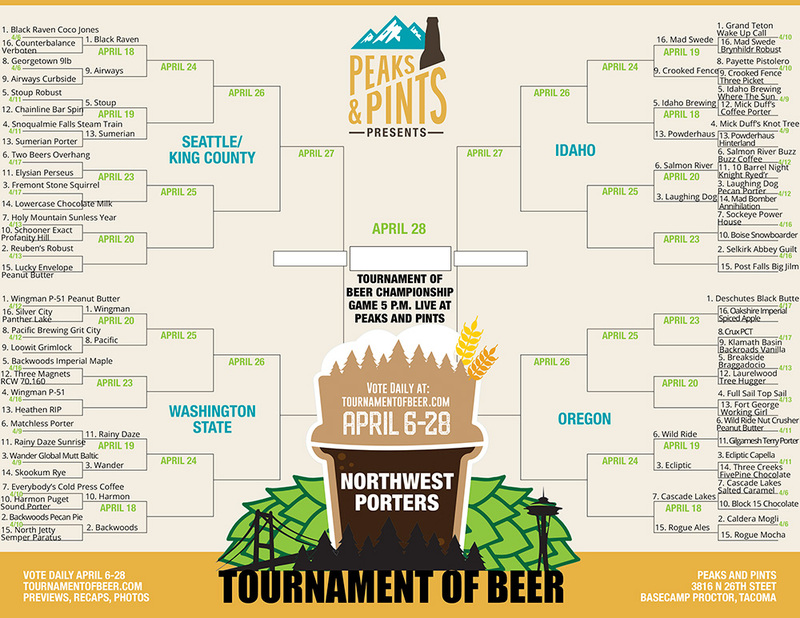 Last year, Peaks and Pints challenged 64 Washington state IPAs to enter tournament-style ale combat, IBU versus IBU, with Rainy Daze Brewing’s Goat Boater IPA crowned best IPA. This year, through online voting, beer enthusiasts seeded 64 porters from Washington state, Oregon and Idaho in our quest for porter prestige. We speak, of course, of the Tournament of Beer: Northwest Porters. 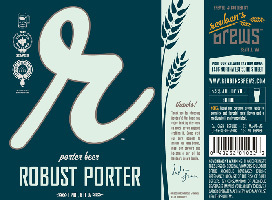 Sixty-four porters brewed in the Great Pacific Northwest have been battling since Friday, April 6. It’s been a week and we’re still in First Round action. Below is a recap of yesterday’s action followed by eight new porters hitting the courts today. 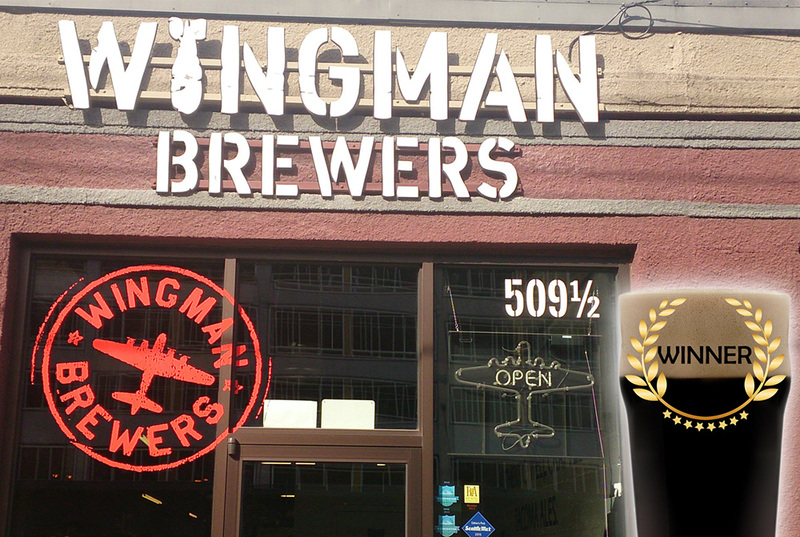 Wingman Brewers in Tacoma grabbed the lead early and never “checked their 6,” nabbing 66 percent of the vote when all was said and done. Peaks and Pints’ Steno Pool believes Wingman rode the momentum of having brewed two porters for us this past year — Perfect Proctor Porter and S’mores Porter. Add their yearly Porterpalooza festival and “porter” and “Wingman” have become synonymous. It was too much for Silver City’s Panther Lake Porter. Wingman’s P-51 Peanut Butter Cup Porter moves into the Second Round to take on fellow Tacoma brewery Pacific Brewing & Malting Co.
More than 120-year-old history, a name that defines Tacoma and a blend of sweet and roasty — that’s a winning combination, at least according to vote totals in the Tournament of Beer: Northwest Porters. Pacific Brewing & Malting Co. put the hurt on Loowit Brewing Co. with 77 percent of the vote. The Grit City Porter moves into the Second Round to battle with their friends at Wingman Brewers. Tacoma families will be torn apart that day. Knight or Night Ryed’r? Hell if we know. Did 10 Barrel Brewing name its porter after old television show featuring big-haired Hasselhoff and a talking car that sounds like a passive-aggressive accountant? Hell if we know. (As an aside, this show would have been infinitely better if the producers had recruited Bobcat Goldthwait to do the voice of KITT.) What we do know is 10 Barrel’s rye porter was ran over by Salmon River’s Buzz Buzz Coffee Porter and it’s 66 percent of the votes. Buzz Buzz moves moves into the Second Round while 10 Barrel’s porter jumps into an old-school Pontiac Trans-Am and drives off into the sunset. Grit City Porter, Pacific Brewing & Malting Co. 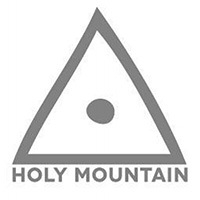 Player Stats: Holy Mountain Brewing Company is the house that oak built. No so much in the physical plant next to Seattle’s Interbay railroad lines, but rather the oak puncheons from local wineries and distilleries co-founders and former Schooner Exact Brewing brewers Mike Murphy and Colin Lenfesty use to create their tart and Brettanomyces-fermented brews that hundreds of beer enthusiasts wait for in the rain. In the case of their Baltic porter, Sunless Year, the oak is third use whiskey barrels, which along with their house lager yeast and four-week cold conditioning help create flavors of bourbon, dark sugar, caramel, oak and dark dried fruits. Player Stats: Home brewer-turned-pro Adam Robbings developed his Robust Porter recipe using British malts particular to Windsor, about 25 miles west of London, where he grew up. Eight different grains are used to create this Reuben’s Brews multiple award-winning beer, pouring a deep brown with a creamy tan head like it has some weight. Roast malts are the star in both aroma and flavor that’s nutty and slightly sweet with an espresso bitterness balanced by a touch of creamy vanilla, chocolate and caramel sweetness, without being cloying or off putting. 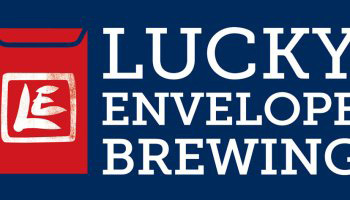 Player Stats: Barry Chan became a Certified BJCP judge and award-winning homebrewer before opening Lucky Envelope Brewing in Seattle’s Ballard neighborhood. “When I wasn’t brewing I found myself studying the chemical and biological processes involved in producing beer,” states Chan. “Brewing had become my perfect combination of science, history, engineering, and magic.” His Imperial Porter has magically been infused with real peanut butter. It’s not a peanut butter bomb, but rather earthy dark malty grains, slight char with a bit of sweet peanut butter. Player Stats: Remember Braggadocio? Of course you do. 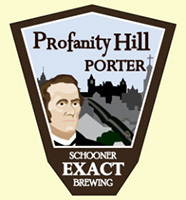 You voted the London-style porter into the tournament even though it hasn’t been on the market for quite some time. Breakside Brewery sat down with Stone Brewing Co. and designed a porter that follows Stone’s high ABV mindset. Then, they aged it in bourbon barrels for five months. The result is a smooth, rich brew that has notes of marshmallow, espresso, sweet dark chocolate and toffee. It finishes extremely smooth with bourbon, vanilla and a touch of tart. Player Stats: Since Laurelwood Brewing Co. opened up on Northeast Sandy Boulevard about 17 years back, Portland has settled into Laurelwood like it’s the family-room couch. You order the burger and then you send the kids off to play in the weirdly extravagant kids’ play area while downing an Organic Tree Hugger Porter. Laurelwood looks something like a rogue Chuck E Cheese that sneaks craft beers under the table. 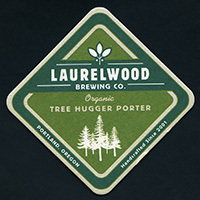 Portlandia loves its Laurelwood Brewing, especially its Oragnic Tree Hugger Porter with organically-grown barley malts to fuel the fermentation, resulting in a beer that boasts a rich chocolate malt flavor with a dry roast finish. Delicate hop flavor rounds out this rich, full-bodied ale. Player Stats: Brewed back in February 2009, this imperial style porter was initially reserved and aged for almost a year in casks from Maker’s Mark, Stranahan’s and Four Roses. 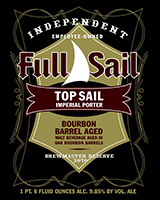 Full Sail Brewing‘s imperial porter returned in April 2016, this time aging in Buffalo Trace Bourbon Barrels. After an extended aging period, the Hood River brewery created a blend that is 100 percent barrel aged beer to craft Top Sail Bourbon Barrel Imperial Porter. This extended aging presents aromas of oak, coconut and bourbon. Deep chocolate flavors warm to a full-bodied beer. Oak, toast and caramel flavors are rounded by the bourbon fire and sweetness. Deep black in color, Top Sail Bourbon Aged Imperial Porter has a roasty malt flavor that is immensely drinkable and smooth. Player Stats: Since its founding in 2007, Fort George Brewery has swollen to fill two stories, an entire Astoria city block and about 20,000 barrels of beer a year — hovering around the 10th biggest brewery in the state — and a lineup of perilously rich stouts and porters. The Working Girl is the brewery’s Panamax Porter reborn with the addition of more than five pounds of coffee beans. The beans were put into both the mash tun and the kettle to create a light coffee aroma and coffee aftertaste in this diverse porter. With additional hints of chocolate and rye malt, this porter is frothy with plenty of coffee character; a cafe au lait flavor on the back palate and a creme de cacao hit on the finish.